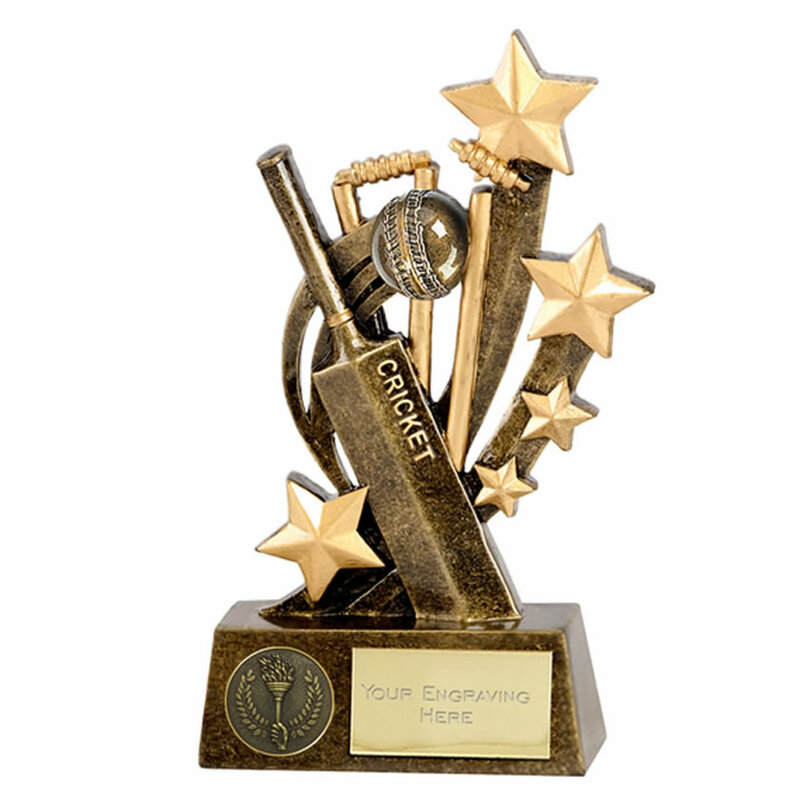 A cricket trophy for your rising stars! Crafted in durable resin, these cricket shooting stars trophies have a bronze and gold colour finish and are mounted on a base with engraving plate. They feature a motif with shooting stars set against a cricket bat, ball and stumps. Available in three sizes, offered with engraving options.